Light emitting diodes (LED), Incandescent, fluorescent and halogen are all technologies Adept is experienced in designing and manufacturing. However, LED lighting design has taken the lead in all modern lighting applications and Adept is ready to follow the most stringent design requirements in the lighting industry. Whether consumer, aviation, military, industrial or commercial, Adept’s Electrical and Mechanical Engineers know what it takes to implement LED lighting designs for UL844 hazardous environments, DO160 Environmental Conditions and test procedures for Airborne Equipment, UL and CE. Complete engineering, industrial design, analysis, testing and certification services are all available to complete your next lighting design and engineering. 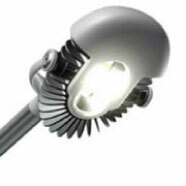 Adept has been Engineering and designing high performance LED lighting design engines for well over a decade. 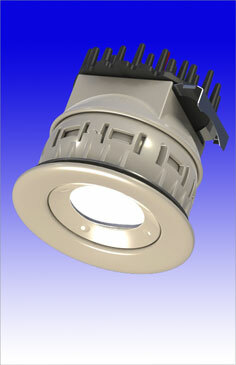 Today, LED lights have become mainstream for their obvious cost benefits. However, they are also being used in many high technology sectors. Not for their initial cost, but for their life expectancy. In Military, Commercial and Industrial applications the cost to replace lights can be significant and effects the bottom line. With the substitution of fluorescent or incandescent to LED, the cost savings can b e appreciable. However, the operation of high-performance LED’s requires definitive engineering; from the proper LED selection, Electrical Engineering of the driver and efficient design of their heat management system. 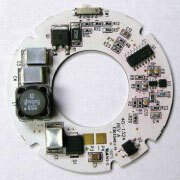 Each are critical for a successful LED light implementation. Engineering an LED lighting system is like most other engineered systems. It requires a balance between all the system requirements. First and foremost is the light output at the proper lumens and frequency. If specific focus and spread are a requirement optics are required. Once these are specified the use of energy efficient power supplies is paramount, but here trade-off for cost often play a large role. 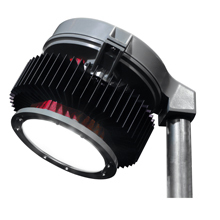 In order to realize the full benefits of the LED light life expectancy a well design heat management system is a must. Companies like Boeing, Cooper Crouse Hines, PECO and LED Specialists have all trusted Adept to provide them with the very best engineering support available.